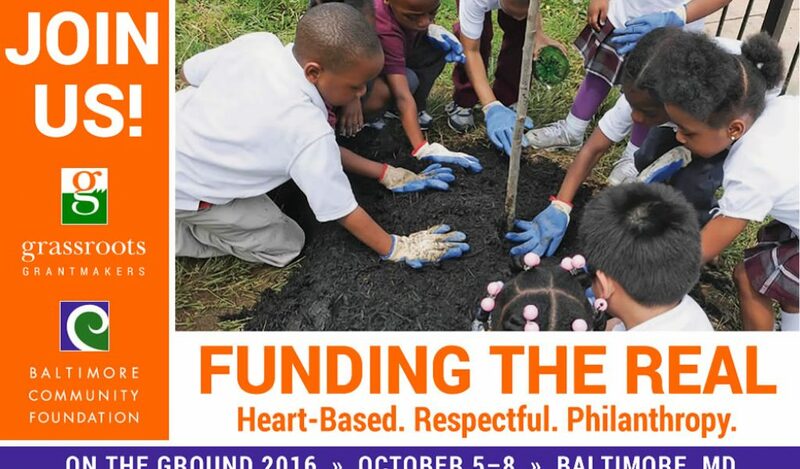 We are thrilled to partner with the Baltimore Community Foundation to offer 2016’s On the Ground in Baltimore, MD. BCF is a national leader in community development, inclusion and equity, bringing its values into the practice of philanthropy at every level, from its community partnerships to its staff to its board. 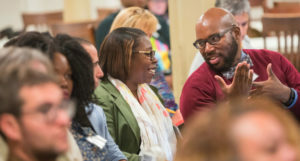 Come join us as we learn from each other and the funders and resident leaders in Baltimore about what it means to practice inclusive philanthropy and how neighborhood level efforts result in powerful change. This year, our event ends on a Saturday, providing a broader opportunity for local community leadership to participate. At the OTG, you will get the chance to meet leaders from different neighborhoods in Baltimore, see their work in community, and explore together with them, other resident leaders and grantmakers and practitioners from around the country the issues that make supporting grassroots work such a joy and a challenge at the same time. We call the On the Ground the “Anti-Conference”. At the OTG, we offer you opportunities for dialogue and learning that honor the knowledge in the community and share best practices from the field. A popular “Learning Marketplace” allows participants opportunities to share their successes or explore a question with peers. On the Grounds are designed for people who are working to strengthen and resource the work of everyday people and the groups that they form for mutual aid and collective action. Membership in Grassroots Grantmakers is not required to attend. While our agenda may lean towards learning about working from a position of “funder” (and by that we mean philanthropies, public sector entities, United Ways, giving circles, crowd-funding platforms, community-based funders and individual donors – basically, any entity that is investing resources directly in grassroots groups), our welcome mat is also out to practitioners and community residents who are actively working to grow the power and contribution of groups of everyday people in the places they live, work and play. We especially welcome teams from the same community that include people working together from different perspectives. Please join us as we work to lift up the fundamental importance of the grassroots in philanthropy – with concrete examples of how vital partnerships between the grassroots and funders are changing Baltimore. Online registration will require payment via a credit card. If you prefer to pay by check, please email Lisa Duran at lisa@grassrootsgrantmakers.org, or call 303.881.5021 and she will reserve your space and send an invoice for the registration fee. Once you complete registration, you will receive an email confirming your registration. Registration is $300 for members and $600 for non-members. This registration rate is available ONLY until September 15, 2014. After that date, the registration rate will be $450 per person for members and $750 per person for nonmembers. Your registration fee will cover materials, in-meeting transportation, and most in-meeting meals. You should plan to cover your own lodging expenses in Baltimore, your travel to and from Baltimore, and meals outside of the event. Reduced rates are offered to all Grassroots Grantmakers’ members. 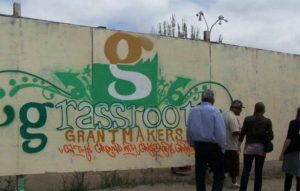 If you would like to confirm your membership, please contact Lisa at 303.881.5021 or lisa@grassrootsgrantmakers.org. If you would like to join or renew your membership, please go to our website at www.grassrootsgrantmakers.org. 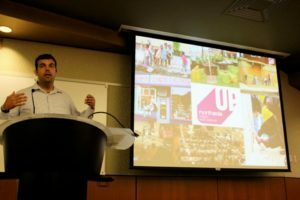 On the Ground is a unique event, providing opportunities to dive deep into issues with residents who partner with the funders in their areas as well as other funders and resident leaders from around the country. As the event approaches, look for emails from us offering suggestions for how to prepare for your On the Ground experience. We have a block of sleeping rooms reserved at the rate of $159 per night at the Embassy Suites Hotel Inner Harbor in Baltimore. In order to receive these rates, YOU MUST RESERVE YOUR ROOM BY SEPTEMBER 5, 2016. To reserve your room, please call the Embassy Suites Hotel at 222 St. Paul Place, Baltimore, MD 21202 at (410) 727-2222. The reservation code for the rate of $159 is GRG. September15, 2016. We can offer no refunds after September15, 2016. Transfers are permitted – please let us know with as much advance notice as possible. 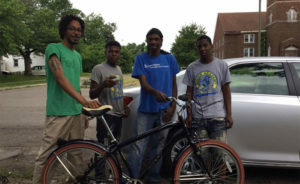 All cancellation, refund, and transfer requests must be submitted by email to lisa@grassrootsgrantmakers.org.